I ordered a chair mat for my home office and the the carpet is very plush with thick padding. The mat I ordered was .250 thick and just the right one for my carpet. I had called to make sure I was ordering the correct mat for the job and was treated very well by knowledgeable customer service. The mat came rolled up upon fast delivery and flattened out very quickly by laying it out on my patio in the sun for about 2 hours. 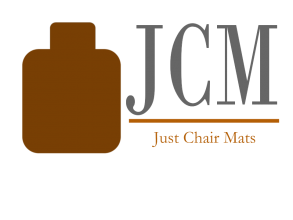 I would highly recommend Just Chairs and would definitely or from you again!